The Cottonwood is a spacious two-story home with plenty of room for customization. The plan, which has a finished floor area of 2,482 square feet, includes 4 bedrooms and 3.5 baths, a small office, a covered porch, a spacious garage, and a deck. The first floor features a great room with a fireplace, entryway, and kitchen and dining areas. The master suite, 3 other bedrooms, and the laundry area are all found on the second floor. 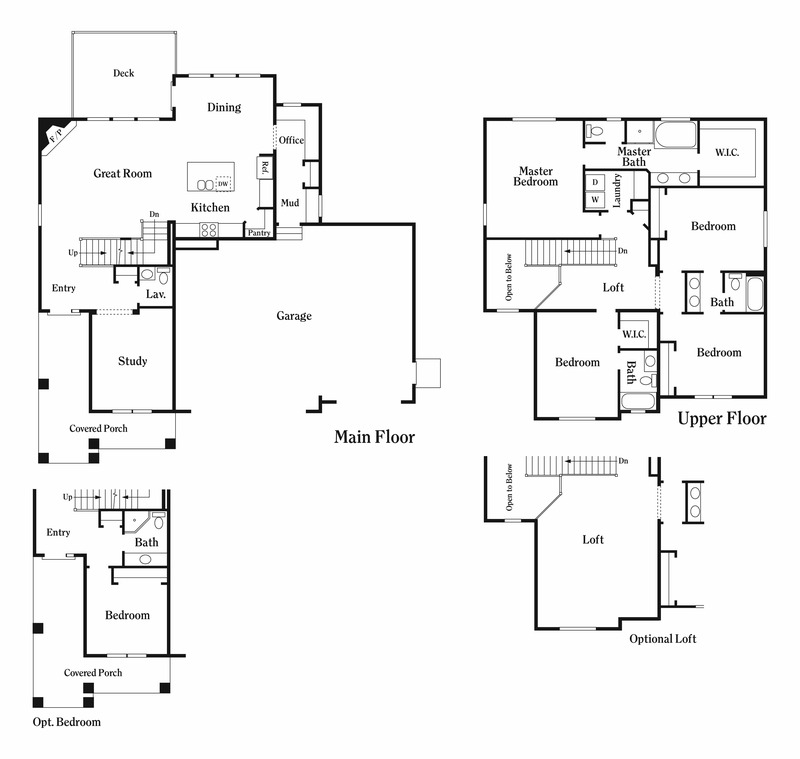 This house plan includes a first floor study that can be turned into an extra bedroom. One of the bedrooms on the second floor, on the other hand, can be turned into an extension of the loft. Buying a home can be a stressful affair, but not with Perry Homes Utah. We have over 40 years of experience in building heritage homes and communities that families want to be a part of. To make the process of owning a home easier, we offer customizable house plans and financing options to our clients. What’s more, we also have excellent customer service, and you can count on us to take care of post-construction concerns after you’ve moved into your new house. Let’s talk about your dream home in Utah. Give us a call today so we can assign you a design personnel who will walk you through every customization and financing option we offer. You can reach us by calling 801-264-8800 or leaving a message on our Contact Us page.